Tripawds Podcast Episode #13: Meet Bart, the award winning three legged AKC champion! 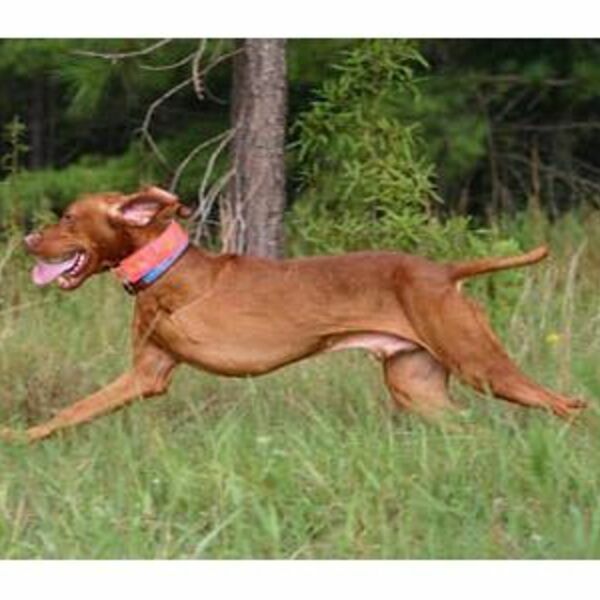 Tune in to hear Darcy Duval talk about her dog Bart, a 3-year osteosarcoma survivor and world-famous AKC show champion and master hunting dog who was the first Vizsla in history to have accomplished this title (start to finish) on 3 legs. Along with Bart we'll meet his long-time veterinarian, Dr. Abby Huggins, DVM, from Terrell Mill Animal Hospital in Marietta, Georgia, who discovered Bart's osteosarcoma in June, 2008. Dr. Huggins has worked with Bart since he was two months old. She graduated from Duke University in 1997 with a BS in marine biology and received her DVM from the Ohio State University in 2001, where she was inducted into Phi Zeta, the national verterinary honors society. Dr. Huggin's veterinary interests include soft tissue surgery, ophthalmology, and doing her part in promoting the human-animal bond. About Bart: In 2008, three year-old Bart was going along his daily life practicing for field trials, hunting and running up to 16 miles with his Mom Darcy. After a persistent limp wouldn't go away with R&R, Darcy took Bart to Dr. Huggins, his regular vet, who gave them the sad news that Bart had osteosarcoma growing in his scapula. Three years later, Bart is still in remission! Nothing slows Bart down and his accomplishments are many. See this Tripawds discussion forum topic for complete details and to post your questions, or join us in the Tripawds Chat during the show. DISCLAIMER: Information provided is for entertainment only and is not a substitute for professional veterinary advice. All content © 2019 Tripawd Talk Radio.